Mediation Attorney in Michigan | Lansing Michigan Mediation Attorneys | Foster & Harmon P.C. Mediation Attorneys Lansing MI | Foster & Harmon P.C. At Foster & Harmon, P.C., our mediation attorneys understand the difficulty involved in a separation or divorce. Separation and divorce can be the most painful and disruptive events that an individual and family can experience. Divorce affects the family both financially and emotionally, and deeply touches all members of the family. Divorce mediation is increasing in popularity as people become more and more dissatisfied with having the legal system resolve their divorce and family law disputes. 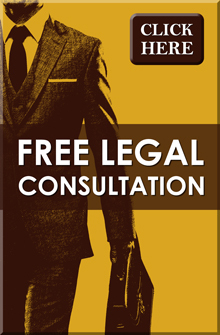 Using a Mediation Attorney is an alternative to litigation. It is voluntary and generally is conducted by an attorney who also practices in the area of family law. At the law offices of Foster & Harmon, P.C. in East Lansing, MI, we have skilled and trained mediation attorneys in Lansing, MI who are certified to act asdivorce mediators. With the help of a mediation attorney, you and your spouse work through some or all of the issues you need to resolve so the two of you can get through your divorce. Although there are several different styles of mediation, all styles of mediation have several things in common. First, mediation is flexible and confidential. It gives you and your spouse a way to settle the conflict between you in a way that helps you to work together as parents after your divorce. At Foster & Harmon, our divorce mediators will help you mediate in such a way as to avoid the conflict that would result from a trial. At Foster & Harmon, our mediation attorneys, when acting as a divorce mediator, remain neutral and work with both sides constructively to reach a resolution outside of the court room. Our divorce mediators do not favor either the husband or the wife. Our divorce mediators, when acting as a mediator, can't give legal advice to either party, or act as a lawyer for either party. What the mediator can do, however, is to point out to both spouses certain things that each of them should be aware of when trying to negotiate a settlement. By being able to have an open and free exchange of information, both spouses are able to negotiate with each other in confidence, and in a more constructive and productive manner. Mediation is voluntary, and continues only for so long as both sides want to continue. You or your spouse can withdraw from mediation at any time, for any reason. Mediation is an informal process that uses a trained and skilled mediator to assist couples regain or maintain control over their families and finances. In Mediation, you and your spouse have the final say on how their assets will be divided, and how they will share custody of their children. The mediation attorneys at Foster & Harmon recognize that the alternative, going to court, takes away all control from the couple and gives complete control to a judge, who does not know the family, but yet is called upon to make decisions that affect the most important aspect of the couple’s lives. In Mediation there are no rules of evidence, and the process remains informal. In Mediation you and your spouse control the process, not the other way around. The benefits of Mediation are numerous. The mediation attorneys at Foster & Harmon P.C. view mediation as a process that aims to reduce tension in an already trying time, rather than increasing it. With the help of the mediator, you and your spouse negotiate your own settlement and learn the techniques for resolving future differences. Mediation is for couples who want to retain control over the decisions that affect their lives. Mediation helps keep the children from being caught in the middle. Generally, mediation takes less time and money than preparing for trial. Since mediation usually provides less conflict, the children benefit by the ability of their parents to continue a positive long term relationship with each other as parents. The mediation process promotes communication and cooperation. Our Mediators at Foster & Harmon show people how to work together productively in spite of their anger and helps couples who are having difficulty cooperating or communicating reach a settlement. Sometimes during the mediation process other professional services are needed. At Foster & Harmon, our mediators have a wide network of consultants including accountants, lawyers, financial planners, career counselors, psychotherapists and child psychologists. This allows for a more thorough analysis of the various aspects and issues that are part of a settlement. When Do I Use Mediation? Mediation can be used at any stage of a divorce. You and your spouse can participate in Mediation before the divorce is filed in an attempt to reach an agreement before any legal proceedings take place. Others participate shortly after the Divorce action has been filed. Both are known as Early Stage Mediation. The advantage of using Early Stage Mediation is that there is no pressure of having a trial date approaching. Also, both parties are usually more amenable to settlement discussions before they become entrenched in their positions through the adversarial process. Commonly, Late Stage Mediation is used before trial and often the parties are required by the court to attend mediation before trial. Many cases settle at Mediation and never have to go to trial, whether Early Stage or Late Stage mediation is used. At Foster & Harmon, there are specially trained mediators who will help you and your spouse work together to reach an agreement. We will help you separate your role from that of a spouse, which is ending, to that of a parent, which is continuing. We will also help couples evaluate their present financial condition and understand how they will provide for their future financial needs. With the mediator’s help, agreements can be reached which address both immediate and long term concerns. The mediator will keep the couple focus on the relevant issues and help identify possible options. You will be an active participant in the negotiation process, which can result in reasonable solutions and mutually satisfactory agreements that takes into consideration the needs of all family members. The divorce mediator’s job is to help you and your spouse arrive at a fair and satisfactory settlement. There is no winner or loser and the mediator is not an advocate for either party. Unlike a judge, the mediator does not make any rulings or decisions. Rather, the mediator helps you and your spouse explore different options and their consequences. Our trained mediators at Foster & Harmon use their extensive legal skills and knowledge of the law to make sure that neither side gives away too much, or dominates the other. Many times one spouse feels as if the other spouse is more powerful or a better negotiator. Our trained mediators help to ensure a balance of power so that both sides have equal bargaining positions. Our mediators are also trained to recognize domestic violence situations and whether such circumstances would prevent a balance of power essential for an effective mediation to take place. What Issues are Covered at Mediation? The advantage of mediation is that you control the process. You can use mediation to address any issue that you prefer not to submit to the court. Our mediators at Foster & Harmon will help you resolve issues concerning property division, spousal support, custody, parenting time, and child support. Mediation is for couples with or without children, or whose children are grown, and for couples with or without substantial assets. In some circumstances, the parties chose to hire an attorney after they have reached an agreement in the Mediation process and the attorney is used simply to draft the legal documents and take you through the procedure of an uncontested divorce. 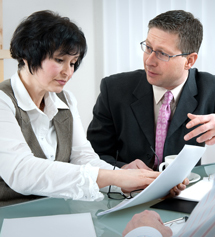 In other circumstances, couples consult with their attorneys before, during and after the process. In other cases, especially Late Stage Mediation, the attorney for each spouse prepares for and attends the mediation session with the spouses. It is up to the particular couple and individual spouses as to when they wish to retain an attorney, and their attorney’s involvement is welcomed at any stage. Depending on when you start the mediation process, the length of the process may vary. In Early Stage Mediation, the first session is used to explain the process in detail. After this, the couple, with the help of the mediator, begins to discuss their concerns and the issues to be resolved at mediation. The couple will then gather any necessary financial data with the direction of the Mediator. Step by step, they make decisions about the type of agreement they want. During this process, care is taken to make sure that the needs of all family members are considered. Generally during early stage mediation the sessions usually last from one to two hours, and may take place over several weeks. Once a tentative agreement has been reached, a formal agreement is either drafted by the mediator or an attorney representing one of the parties. The final agreement is then signed, at which time the agreement becomes binding. In Late Stage Mediation, the necessary financial data has usually already been gathered by the attorney representing each spouse and the issues have been well defined. The Mediator will then help the couple and their attorneys resolve the areas of conflict that have not been resolved between the attorneys directly. Usually these type of mediation sessions occur shortly before trial and may last anywhere from a full day, to several days. Again, once an agreement is reached it is reduced to writing and signed by all parties and attorneys, usually the same day, at which point it becomes binding. Our Mediators at Foster & Harmon know that mediation really works. Experience shows that when a couple has successfully mediated their divorce they are more likely to be satisfied with the process, and less likely to have ongoing litigation problems. Many couples who go to trial to have the judge determine the outcome of their case are unsatisfied with the result and end up back in court later to fight with their ex-spouse because they feel they did not get what they deserved. A successful mediation will give both couples the ability to have control of their own divorce outcome, which allows both recovering quicker and moving on successfully with their lives. The mediation attorneys at Foster & Harmon know that even the most difficult cases can be successfully resolved at mediation. Contact us today for an initial consultation.